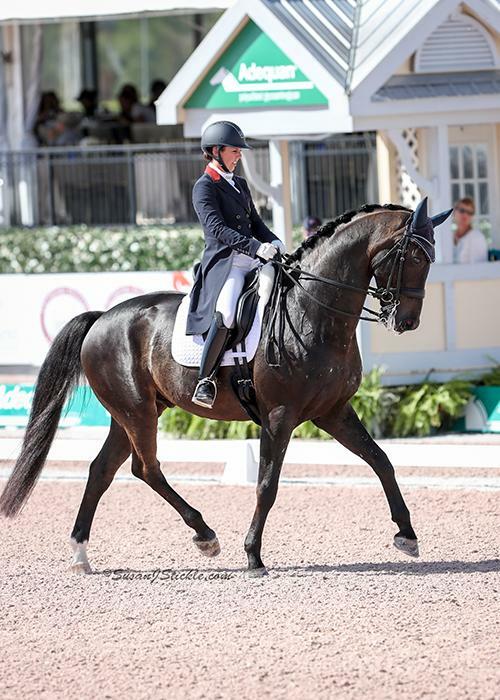 Wellington, FL – February 23, 2017 – Laura Graves (USA) and Verdades claimed another victory in Thursday’s FEI Grand Prix CDI-W, presented by The Axel Johnson Group, during the seventh week of competition at the 2017 Adequan® Global Dressage Festival (AGDF) in Wellington, FL. 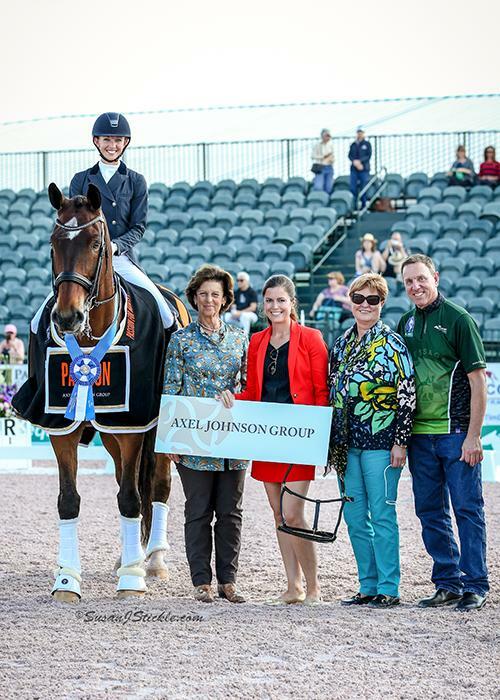 AGDF 7 runs from February 22-26 and features CDI-W competition, presented by The Axel Johnson Group, and FEI Small Tour competition, presented by Wellington Regional Medical Center, held at Equestrian Village at the Palm Beach International Equestrian Center (PBIEC). This week’s competition includes the “Friday Night Stars” FEI Grand Prix Freestyle CDI-W, presented by The Axel Johnson Group, on Friday, February 24. Gates open at 6 p.m. General admission is free and parking is $10/car. Live stream of “Friday Night Stars” can be seen HERE. 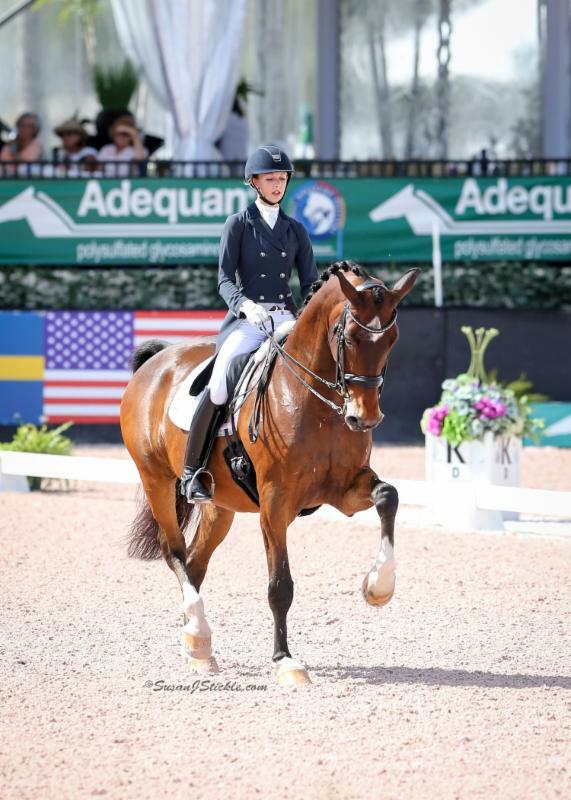 2016 Olympic bronze medalists Laura Graves (USA) and Verdades, a 2002 Dutch Warmblood gelding (Florett AS x Liwilarda) owned by Graves, ended the day with another win in the Global Arena and a score of 80.240%. CDI-W presented by The Axel Johnson Group! 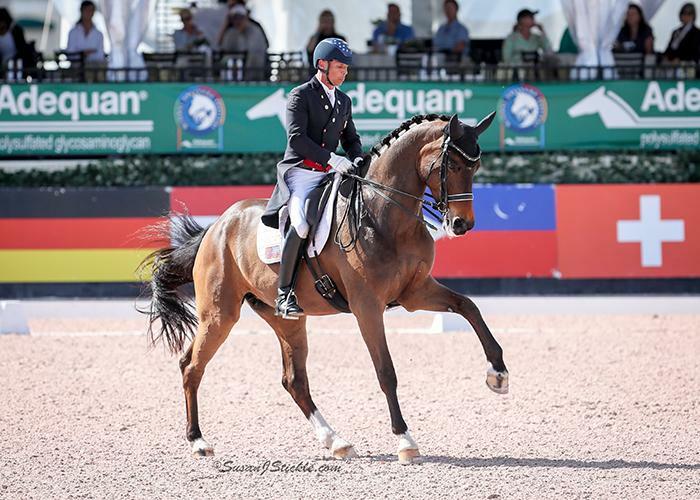 Placing second and third to Graves in in the FEI Grand Prix CDI-W were 2016 Olympic teammates and bronze medalists, Steffen Peters (USA) and Kasey Perry-Glass (USA). Peters and Rosamunde, a 2007 Rhinelander mare (Rock Forever x First Lady) owned by Four Winds Farm, took second place with a score of 74.820%. Laura Graves and Verdades in their presentation ceremony with Antonia Ax:son Johnson of The Axel Johnson Group, Cora Causemann of AGDF, judge Elisabeth Max-Theurer (AUT), and Allyn Mann of Adequan®. 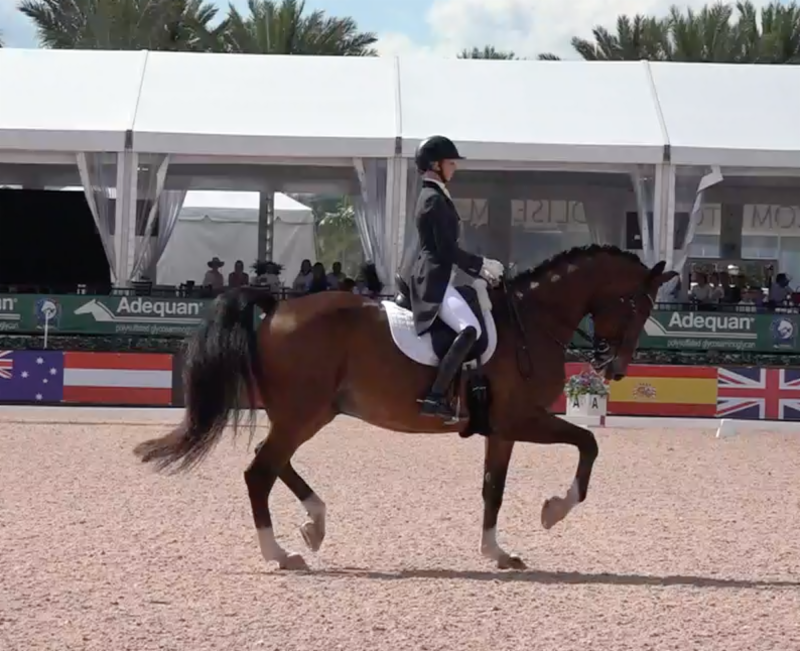 Kasey Perry-Glass (USA) and Goerklintgaards Dublet, a 2003 Danish Warmblood gelding (Diamond Hit x La Costa x Olympic Ferro) owned by Diane Perry, came in third with a 73.200%. Competition at AGDF will continue tomorrow with a full schedule of classes, including the FEI Grand Prix Freestyle CDI-W, presented by The Axel Johnson Group, and the FEI Young Rider Team CDIY, presented by Yeguada de Ymas. For more information and to see a full list of results, please visit www.globaldressagefestival.com. ← Pin Oak 2017 Entries close Feb 28th!